It’s no accident that we sometimes call the Christian Life a “pilgrimage.” It’s a common metaphor, of course. Life, after all, is a journey, an adventure. I choose a path; I walk a way; I march to some particular beat. We are travelers, or wanderers, or pilots. This is how we talk about life, and this is also how the Bible describes the Christian Life. In fact, if you want to understand the Christian life—What difficulties should I expect? What goal should I pursue? Is there somewhere I can go for help?—then may I humbly suggest the book of Hebrews? It gives you a central metaphor to think about your life as a Christ-follower: you are a wilderness wanderer; you are a pilgrim seeking a promised land. I have been preaching through the book of Hebrews in our evening service, and I can tell you quite honestly, I am both excited and terrified. On the one hand, this is my bread and butter, my favorite book, the thing I have been studying my entire professional life; and yet, precisely for all those reasons, and more besides (it is, after all, God’s Word), it has proven to be an incredibly humbling sermonic topic. It’s the book about which I have the most questions, and within which I find the most personal encouragement. How to plumb the depths? Take, for example, the most basic of questions: to whom is this book written? Obvious, right? It’s right there in the title: “to the Hebrews.” Not so fast! Remember, the titles of our Biblical Books are not, strictly speaking, “biblical.” They are traditional, and though they are generally reliable, they are not inspired by God. They are often added by later scribes and interpreters. Therefore, the contents of the book, rather than the title, should drive any conclusion about its audience. Following that good advice, early Christians noticed how “OT heavy” this book is, and concluded it must be to some group of Jews. Perhaps, given Hebrews 1 and Hebrews 9, some group of Jews that were tempted to venerate angels and wanted to return to OT temple worship. Now, while the book may, in fact, be written largely to Jewish Christians, and personally I suspect it is (though Vos argues otherwise), this is actually not a good argument. Of what NT book could it not be said that it is “OT heavy?” Galatians contains similarly intense discussions of the OT, and yet it is obviously written to Gentiles; in general, NT authors don’t seem at all shy about dropping OT exegesis. The reliance on the OT only indicates that it is written to Christians, whether Jewish or Gentile. So what other evidence do we have about the audience? Surprisingly little; the epistle doesn’t give us a lot of clues here. Unlike, say, the Epistle to the Romans (Rom. 1:1; 15:22-29), Hebrews gives us precious little about its audience. They are second generation Christians (Heb. 2:3), they have not been persecuted unto death (Heb. 12:4), and they are not living in Rome (Heb. 13:24). Other than that, we have little specific information. How is that helpful? If you are not immersed in the stories of the OT, it may not be immediately inspiring to you, but the author of Hebrews is actually telling his audience something very important about their life and context, about who they are. 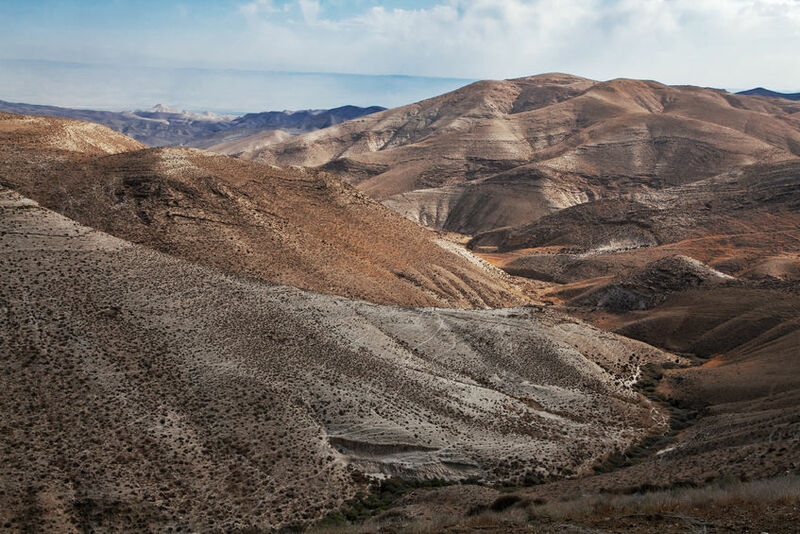 He is taking an OT story—the story of Israel in the wilderness—and applying it to their life. More than that; given the generality involved, the author is applying it to your life. You are like them; your situation is like their situation; your goal is their goal. Like Israel of old, you have been delivered from Egypt and set free to serve your God. Like Israel of old, you are pursuing Promised Land. Like Israel of old, you are walking the ancient paths, following after your God as he guides you from Egypt into Promised Land. Like Israel of old, you journey with God through a wilderness. The fact that the author is so general allows us to more easily see how this applies to us. The Christian life isn’t sometimes a wilderness; it’s not a wilderness because of some specific set of circumstances, or because we are like 1st century Jews or Romans. You don’t have to be tempted to return to outdated ritualistic practices to experience the kind of temptation that the original audience faced. The Christian life is always a wilderness, and furthermore it’s a wilderness precisely because we follow Christ. To follow Jesus is to journey with God through a wilderness. Why such an exhortation? Because the wilderness is a dangerous place. Israel, you will remember, fell in the wilderness (Num. 16, 1 Cor 10). The first generation failed, and though God was faithful to His promises and brought the next generation through, the first generation perished in the wildness. Why? Because they allowed their hearts to harden. They succumbed to temptation. This is not a uniquely OT danger; Jesus himself reminds us of this: remember that only one out of four seeds bore fruit (Matt. 13:1-23). We are surrounded by temptations, the cares of the present age. Apathy sets in; old sins renew their onslaught; the world presses down upon us; we begin to “drift away” (Heb. 2:1). How should we then describe the Christian life? What is our challenge, and what is our goal? We seek to persevere in the wilderness. We are pilgrims, searching for Promised Land, beset by numerous temptations to turn aside. What is success? In a word: perseverance. Perseverance is hard; the wilderness is dangerous. Is their hope for us? How do we persevere to the end? The answer: only by the power of Jesus Christ. Here’s the remarkable thing: though we are pilgrims, like the Israelites of old, seeking a holy rest and a most holy place, nevertheless, we are pilgrims who, unlike Israel, make no pilgrimage. Let me explain. One of the main emphases of Hebrews is this: the New is better. The New Covenant is better than the Old Covenant. That should seem obvious, particularly given the fact that Hebrews specifically states “the covenant Jesus Christ mediates is better” (Heb. 8:6); nevertheless, some continue to object. I should say, at this point, that it is precisely the God-ordained betterness of this New Covenant that is at the heart of the title of this blog (and so, this continues my history of apologizing for not explaining the reason behind the cryptic title “unfinalizable,” but I promise I am coming to that, and in a word I can put it this way: all meaning is typology, and all typology is eschatology). How, specifically, is the New better? The answer to that is simple: our Holy Sanctuary is better than their Holy Sanctuary. The Old Testament temple was the God-ordained center of religious life for Israel, and the True Temple is in Jerusalem. This creates something of a problem. If you wanted to be “near” God, you needed to go on a pilgrimage. That’s why Jesus’ parents go to Jerusalem annually (Luke 2:41-43; Deut. 16:16). That’s why the debate over where “people ought to worship” is such a big deal to the woman at the well (John 4:19-24), though worship location seems so foreign to us. The Jews knew, of course, that “the Most High does not dwell in houses made by hands,” but that does not change the fact that the various religious duties and blessings prescribed by the law centered on the Temple. To put it in New Testament terms, the means of grace are, to some extent, localized; they orbit around the temple, and therefore around Jerusalem. Now that the Jesus has come, we have access to a greater Holy Place, in comparison to which the old Temple was but “a copy and a shadow” (Heb. 8:5). “We have such a high priest, one who is seated at the right hand of the throne of the Majesty in heaven, a minister in the holy places, in the true tent that the Lord set up, not man” (Heb. 8:1-2). And notice that this holy place is not a temple, but a tent. Why? Because tents are movable and temples are not. Wilderness wanderers need a tabernacle, not a temple. God does not require us to make a pilgrimage to take advantage of the power of His Presence; God comes with us on the journey. So is there hope for us in our wilderness wandering? Yes, because Christ is always near! “Let us draw near with a true heart in full assurance of faith” (Heb. 10:22). Since Christ has come down and dwelt among us, since he has sent his Spirit to dwell within us, we are now and forevermore “in Christ.” Do you need Spiritual water for your journey? Refreshment? Encouragement? Draw near in prayer, corporate worship, word and sacrament, for in these things the ministrations of Christ Himself are provided to you by the power of His Spirit.